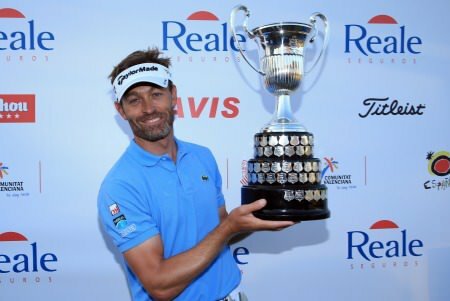 Raphael Jacquelin was all smiles after coming through nine extra holes to win the Spanish Open at El Saler. 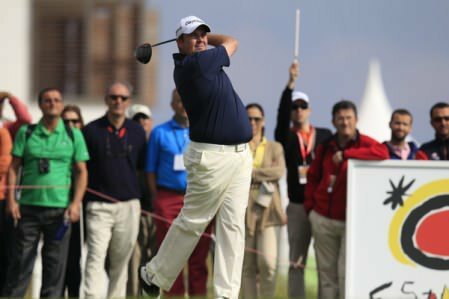 ©Getty ImagesShane Lowry was looking on the bright side as Raphaël Jacquelin claimed his fourth European Tour victory in the Spanish Open after a nine-hole, record-equalling play-off that lasted more than two hours. The Offaly star opened and closed with a 78 at El Saler to finish 69th in the 73-man field on eight over in breezy Valencia. 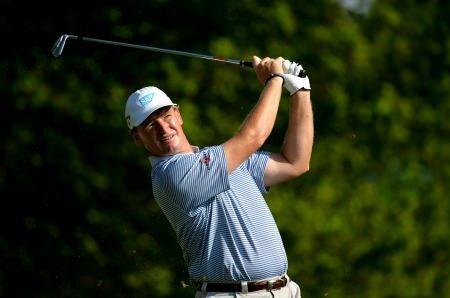 But he was looking ahead with confidence to his sixth PGA Tour appearance of the season when he takes up a sponsor’s invitation for this week’s Zurich Classic of New Orleans. Lowry’s optimism is laudable after a week that brought 19 bogeys and two double bogeys as well as 15 birdies. But he knows that a good week in the US could open the door to a career on the PGA Tour. He was on a flight home when Jacquelin overcame Germany’s Maximilian Kieffer and Chile’s Felipe Aguilar in a sudden-death play-off that was anything but sudden. It went to the ninth extra hole, equalling the longest on the European Tour at the 1989 Dutch Open, when José María Olazábal beat Roger Chapman and Ronan Rafferty. Overnight leader Marc Warren fell away during the closing stages of regulation play, three putting twice as he went bogey-bogey-birdie-bogey-bogey over the last five holes, carding a 76 to miss out on the play-off by a stroke. Jacquelin birdied the 18th in regulation play for a one under 71 that left him tied with Aguilar (70) and Kieffer (71) on five under. And he then birdied the hole twice more in sudden death - at the third time of asking and again at the ninth to claim the €250,000 first prize. Shane Lowry putts on the 15th. Eoin Clarke www.golffile.ieThere were pars all round on the first two trips down the par four 18th hole, before the Frenchman and the German found birdies on their third trip. With the Chilean missing the green to the right, Jacquelin fired in a brilliant approach to two feet while Kieffer’s effort came up just short – some 30 feet from the hole. The 22 year old German holed his putt, sparking great celebration in the Kieffer camp, meaning Jacquelin’s tap-in merely ensured further additional holes without Aguilar, failed to hole out from off the green. 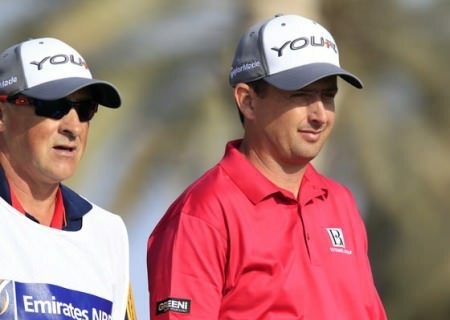 Jacquelin and Kieffer shared pars over the next five trips down the 466-yard closing hole, before the older of the pair, who last won over two years ago at the Sicilian Open, finally holed out for birdie after sending his wedge to five feet in his tenth playing of the 18th hole on Sunday. “It’s difficult to describe how I feel, a little bit tired at the moment after nine holes of play-off but I’m really happy,” Jacquelin said. “At the ninth time of asking makes it even better – after the win. It would have been really disappointing if I had lost this tournament, but it was a real fight, and very hard to put the ball in the hole, but I managed in the end. Kieffer sprang to attention in his first appearance as a full European Tour Member in December, finishing tied fourth at the inaugural Nelson Mandela Championship presented by ISPS Handa and despite this disappointment the young German looks set for a bright future in the game. “It’s been a very long day,” he reflected. “When I got into the playoff I said to myself: ‘I have played very well today, I’ll do my best and let’s see what happens’; I was proud of being up there. But after playing nine times, then it’s a bit disappointing to lose. 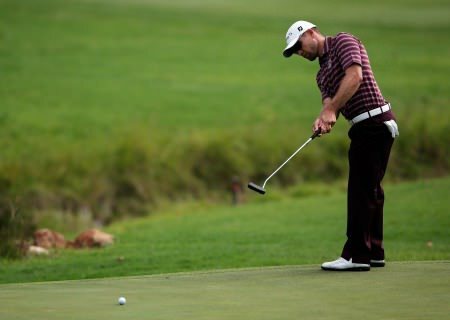 Despite holing out from a greenside bunker for birdie at the 16th, overnight leader Warren was left to rue back-to-back three-putts on the closing two holes to miss out on a spot in the play-off, finishing in the tie for fourth on four under par. Ballyclare’s Gareth Maybin finished with a sparkling, best-of-the-day 67 to finish as the joint leading Irish player in joint 16th with Peter Lawrie (70) on one-under par. 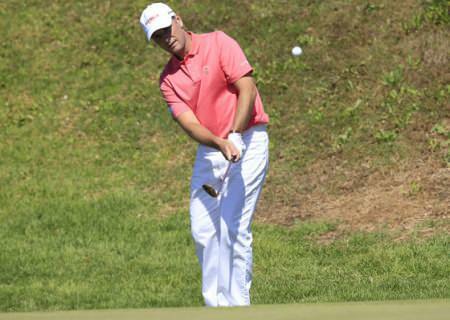 The pair earned prize money of €19,470 each, leaving Maybin 96th in the Race to Dubai and Lawrie 66th. David Higgins, who was joint third after an opening 69, was forced to settle for joint 51st place after bogeys at the last two holes for a 76 left him on four over par. Higgins is 181st in the Race to Dubai standings after his first five starts since winning back his card with Graeme McDowell sixth, Padraig Harrington 29th, Rory McIlroy 45th, Lowry 58th, Michael Hoey 108th, Damien McGrane a worrying 136th and Darren Clarke 139th. 300 G Cambis (Fra) 77 69 76 78, G Stal (Fra) 68 78 83 71.